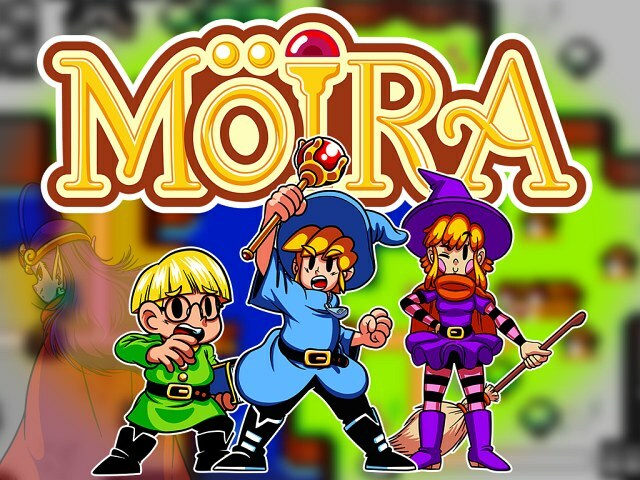 Indie Retro News: Moira - A Game Boy inspired spell crafting action platformer gets a Kickstarter! Moira - A Game Boy inspired spell crafting action platformer gets a Kickstarter! Truth be told there are a lot of platformers out there at the moment that are either in development or have already been released, this is especially true when it comes to the ZX Spectrum homebrew scene. So I thought I'd give a shout out to a rather special looking action platformer, that has the inspiration from the Game Boy while also influenced by games such as Kirby’s Dream Land, Kid Dracula, Megaman and Wonder Boy. Welcome to ' Moira ', a brand new game by Onagro Studios with a demo, that is currently going through a Kickstarter campaign AND is a Steam Greenlight success! According to the developers, Möira is an action-platformer game with collectibles, puzzles and exploration elements. It is also story driven so it isn't all about the baddies and platforms, as the developers hope it pulls you in enough to keep playing as much as possible. If that isn't enough, you'll also come across many helpful NPC's in a world full of enemies, bosses and puzzles through multiple Gameboy styled environments that also come with new mechanics. But the biggest feature which I can't wait to try is being able to copy the ability of many different foes throughout the game, which can either be used against them or to help solve puzzles. Oh and you can also combine most of these powers together to create even more unique spells. Does that not sound like great fun? I think it does!